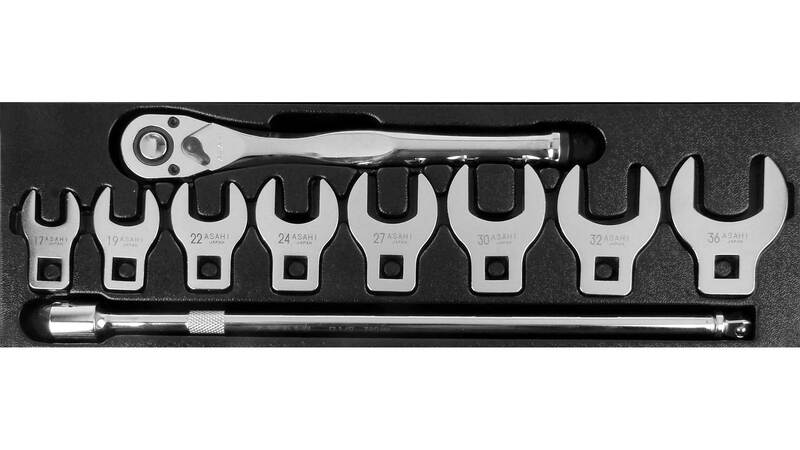 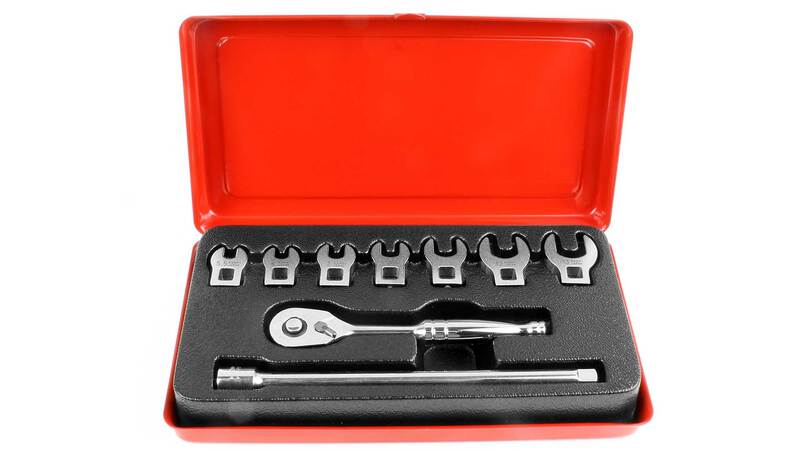 These detachable open-ended spanner heads are ideal for working in awkward places that are out of reach with normal spanners or wrenches. 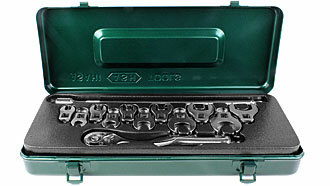 For a perfect tool combination, you simply add an extension piece and a ratchet. 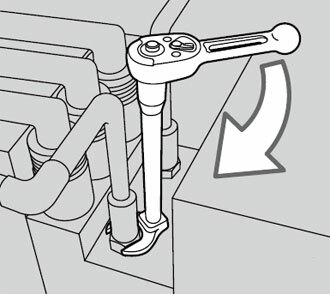 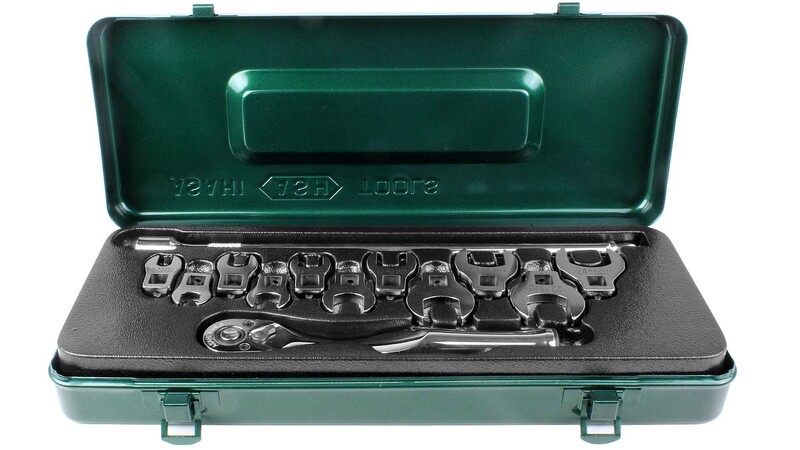 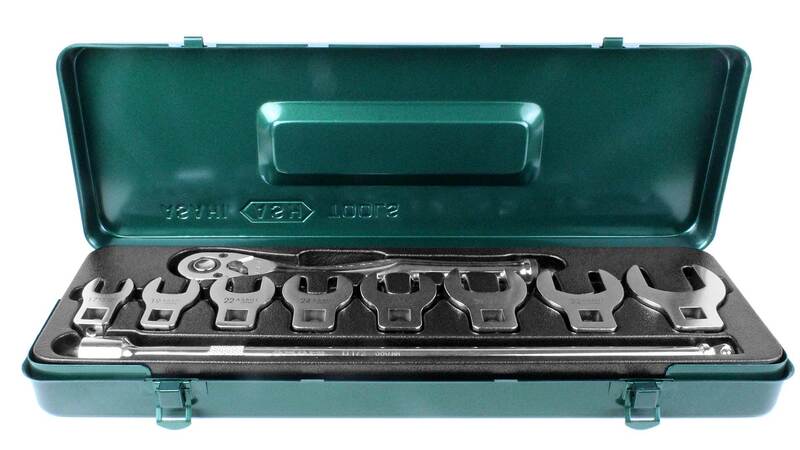 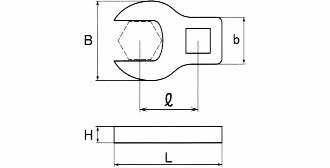 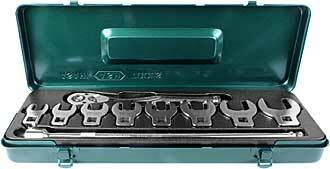 The extension piece with ball locking device holds the spanner head only loosely so that it can be inserted at an angle of up to 10° in any direction, further adding to the tool’s flexibility. 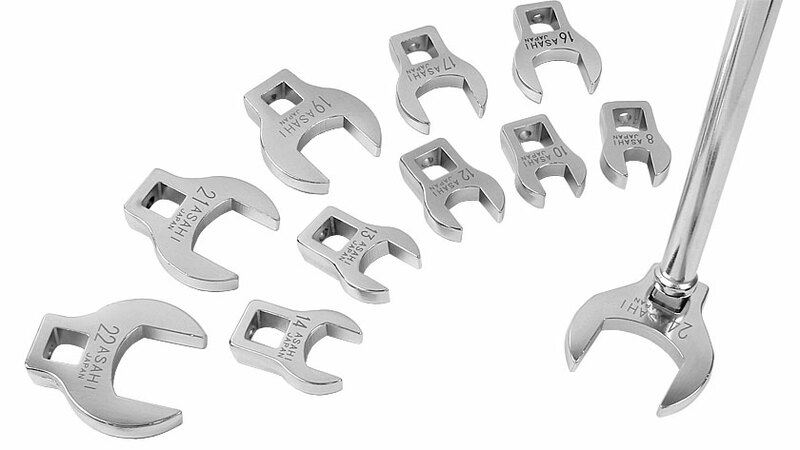 Made by Asahi in Japan from chrome vanadium steel, hard chrome plated. 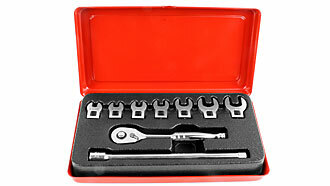 Ratchet made in Taiwan. 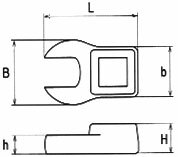 Available with 1/4 inch (6.35 mm), 3/8 inch (9.5 mm) and 1/2 inch (12.7 mm) drive.